The finished product will probably stick with the Hellcat though. That FCA is working on a competitor for the Ford F-150 Raptor is one of the worst-kept secrets in the industry. The manufacturer has already shown concepts to that effect, with rumors swirling ever since. But there's still more that we don't know about the forthcoming Ram Rebel TRX than what we do. And we're glad to bring you some new details brought to light by our friends at Motor1. Not the least of them is that, while most of the prototypes are running the Hellcat engine, there is one running around with the Demon mill. This according to an unnamed insider who claims to have driven one of the prototypes, said to be in development by an independent company based in the Detroit area but outside of the Fiat Chrysler umbrella. 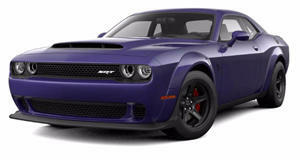 Both the Hellcat and Demon engines are based on FCA's venerable Hemi V8, bored out to 6.2 liters and supercharged – the Hellcat to an impressive 707 horsepower, but the Demon to a mind-blowing 808 horses (or even 840 on racing fuel). Apparently 40 Ram TRX prototypes have been built to date, with just one of them running the Demon engine, and the 39 others running Hellcats. Of course, the alleged existence of a Demon-powered Ram 1500 doesn't mean that it'll actually be put into production. But the mere chance of the Demon engine being revived for truck duty is enough to get our minds (if not our trucks) racing. Motor1's source also says the Ram Rebel TRX will pack Bilstein shocks and pressurized air-powered locking differentials to combat the Raptor's long-travel Fox Racing suspension setup. 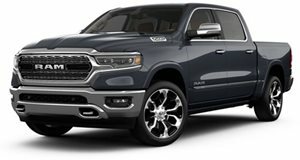 The new Ram 1500's ten-speed automatic is said to remain in place, instead of bringing the eight-speed auto along with the engines from the Challenger and Charger.